The Governor’s Administration on Wednesday accorded sanction to the appointment of Vice Chairperson including non-official members in the constitution of Board of Directors of J&K Khadi and Village Industries Board (KVIB). According to the order issued by Principal Secretary Industries and Commerce Shailendra Kumar, Bharatiya Janta Party leader Dr Hina Bhat has appointed as the vice chairman of Khadi and Village Industries Board (KVIB). Hina had contested Assembly elections from Amira Kadal seat on BJP ticket, however, was defeated by PDP candidate Syed Altaf Bukhari. 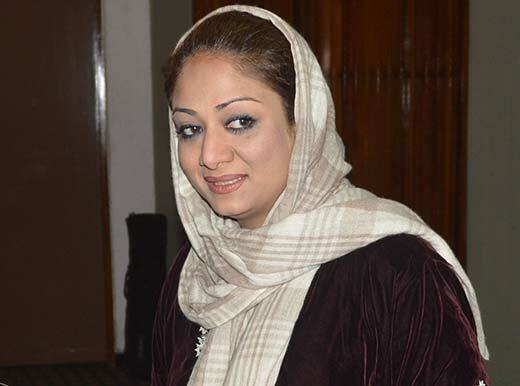 Hina is the daughter of a lawyer and politician Mohammad Shafi Bhat who passed away two years back. Bhat was an NC leader who was an MLC and later became an MP, unopposed, in 1991. Its members are Sanjeev Kumar Manmotra Son of Jagdish Raj, Imtiyaz Ahmad Son of Mirza Mohammad Siddiq, Rajesh Gupta Son of Kasturi Lal Gupta, Farooq Amin Son of Mohammad Amin, Ravinder Singh Son of Sant Singh, Ghulam Mohi-ud-Din Gojwari Son of Mohammad Abdulah Gojwari, Munshi Muzaffar Hussain Son of Munshi Safadar Ali, Mushtaq Ahmad Querashi Son of Mohammad QasinQuerashi, and Rajesh Kumar Bakshi Son of Gureharan Bakshi.